New Orleans. In 1964, Private Investigator Lew Griffin is hired to find a missing civil rights activist. In 1970, a missing teenager. In 1984, his friends sister. In 1990, it’s his own son he is looking for. Not all the searches turn out quite how he might have expected, or hoped. The same was true for me as a reader. None of the four stories turned out quite how I thought they would. That’s one of the reasons I enjoyed this book so much. It wasn’t what I expected. What I got were four stories that can each pretty much stand alone. The common thread is Lew Griffin, who is in a very different place in his life in each story. The cases are snapshots, moments in time. And they are very much about his character as much as the missing people. Which is the second thing I didn’t expect, that the novel isn’t so much about the cases as it is about Lew Griffin. As a character, I really liked him. He isn’t perfect by any means and does a good job of alienating himself for people who love him. But there is an honesty about him. He seems to know who he is and what he can (and can’t) commit too, especially when it comes to relationships. There isn’t anything self-pitying about him and, probably because of that, I really wanted things to work out for him each time we were introduced. Unfortunately, they don’t always do. The cases themselves are interesting and differ enough to not be boring. The setting is dark, gritty, the seedy side of New Orleans. 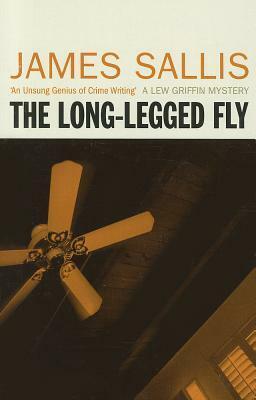 Written in the first person, the writing style is stripped back and, like the other James Sallis books I’ve read, reminds me of old style detective stories and film noir (things like The Maltese Falcon). Personally, I love it and he is fast becoming one of my favourite authors. Reading his books feels different. I appreciate they may not be everyone’s tastes but they are definitely mine. Highly recommended.